Applications are due by March 15th, and deposits by April 1st. is not a camp or therapy. It is an evidence-based program that combines the best of an individualized intensive therapy program, and the social opportunities and semi-st ructured thinking-based activities of a camp. Researchers have determined that it takes 1-2 weeks of intensive intervention to start the process of neuroplasticity, the process by which the brain wires itself and reorganizes its wiring. For an individual to master and sustain these neurological changes these goals must continue to be worked on at home or through a longer intensive program. It can take 8 to 12 weeks (sometimes longer) to make lasting changes in the brain and develop new habits and behaviors. 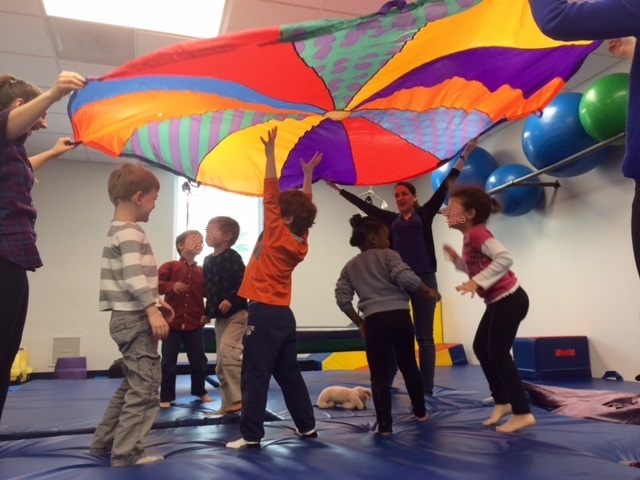 For 8 weeks (two 4 week sessions) at The Floortime Center®, children will be given individualized therapy services, based on the child’s specific needs, goals, and developmental profile. Children will also receive social opportunities and some semi-structured school activities like art, music, story, and snack times to support other developmental needs. 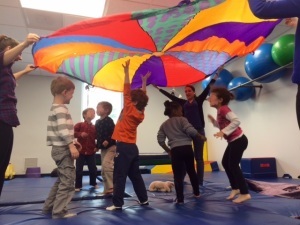 Every child will receive a unique mix of developmental interventions including speech and language pathology, occupational therapy, visuo-cognitive therapy, Greenspan Floortime, parent coaching sessions, and social opportunities. The entire program’s focus will be on social-emotional development, and all interventions will strengthen; building relationships, thinking, communication and flexibility while also improving specific areas each individual therapy can target. Visuo-Cognitive Therapy– visual-spatial processing, spatial reasoning, eye contact, transitions to different environments. THERACAMP™ will begin on June 17th, 2019 and end on August 9th, 2019. EXTENDED THERACAMP™ is for three weeks from August 12th to August 23rd, 2019. THERACAMP™ is from 10:00 am-1:00 pm five days a week. In the event that your child is sick, we do not offer full or partial refunds for sessions. All participants are required to do a minimum of 4 weeks. The majority of THERACAMP cost is insurance reimbursable. Parents will receive invoices for occupational therapy and speech therapy sessions at the end of each week that they can submit to insurance.